From 10 a.m. to 3 p.m. on Saturday, April 13th, the Conservancy of Southwest Florida holds a family-friendly Earth Day festival. 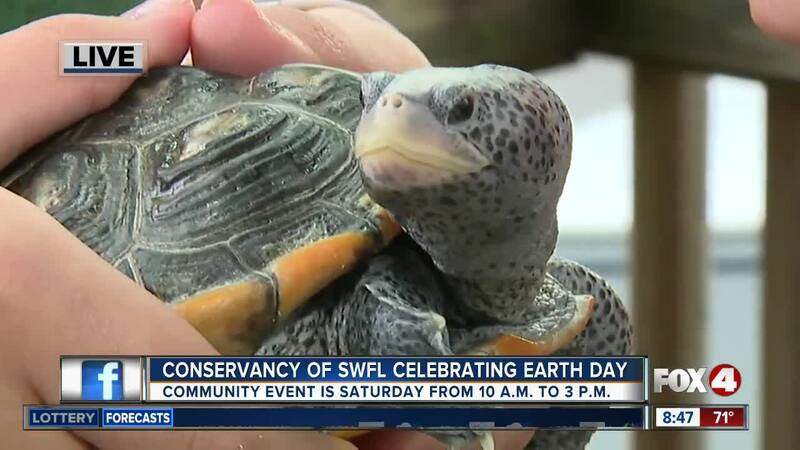 NAPLES, Fla. — The Conservancy of Southwest Florida holds its largest community event of the year this Saturday, the Earth Day Festival. From 10 a.m. to 3 p.m., there will be educational programs, interactive shows, food trucks, music, exhibitors and vendors. For the kids, there are hands-on activities, including a science show, crafts in the Kids Zone and face painting. The Conservancy says their mission is to protect the water, land, wildlife and future of Southwest Florida. Earth Day admission is discounted on Saturday the 13th. For more details, click here .